Create your own labels with the exact messages you need! CALL US AT 1.800.543.6650 to place your order. To speed up order processing, we will ask several questions to ensure you have the best label to meet your business needs. 1) Choose Your Paper Color - Fluorescent colors are brighter than shown below. Due to print processes, actual label color may vary slightly from color shown. 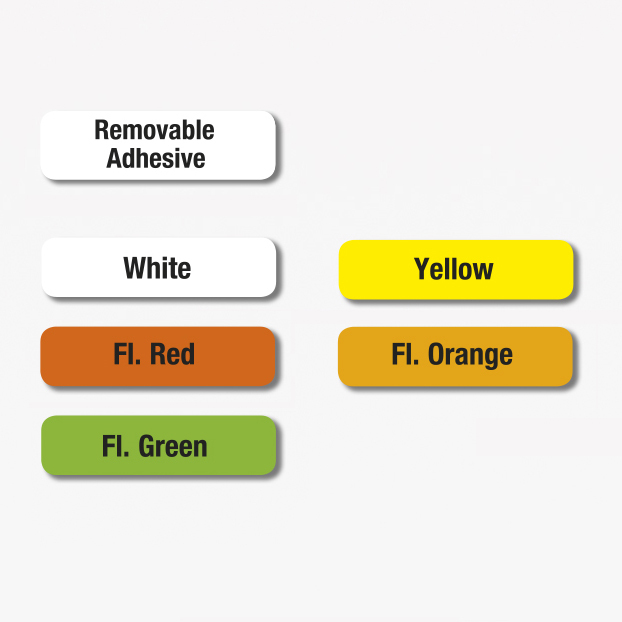 2) Choose Your Adhesive - We offer General - Purpose Adhesive & Removable Adhesive. 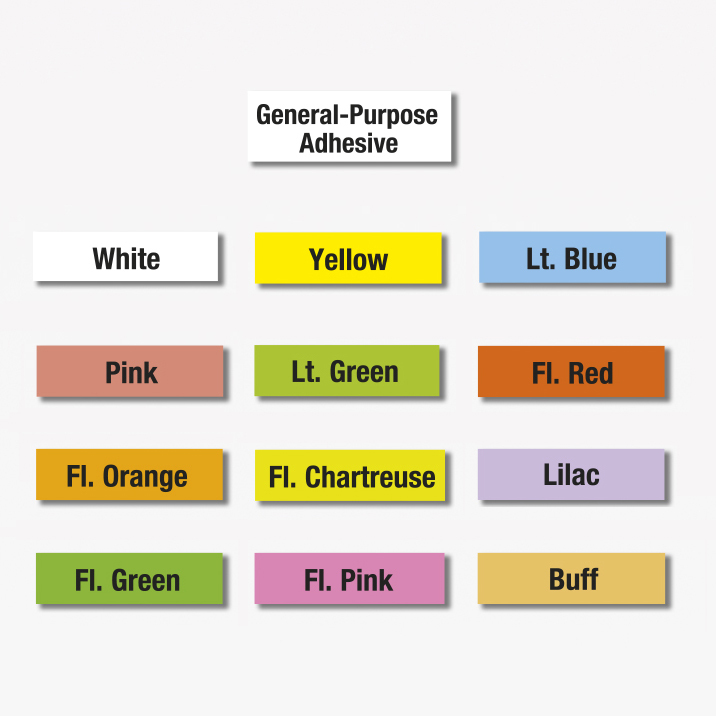 General Purpose Adhesive is recommended for most price-marking applications. This adhesive is suitable for poly bags and goods intended to be frozen. Removable adhesive enables label removal without damage to products or packaging. 5) Choose Ink Color(s) - due to printing processes, ink color may vary based on selection of label paper color(s). We can pre-print up to 4 colors.